Early in my career, I received a referral for a client who set a school on fire. He was 10 and had been on probation since the age of 7. He had worked one-on-one with many talented and bright therapists, yet none had successfully improved his behavior. Many doubted this child could overcome his behaviors, but I saw hope. In 2006, I attended his college graduation, and in 2009, I watched him graduate from law school. They were some of the proudest moments in my career. But how did I succeed where so many others failed? The answer is simple: I boldly stepped away from traditional mental health strategies of working one-on-one with a child struggling with the toxic stress of trauma, and instead, I treated his entire family as one unit in every session. And I’ve seen the same positive outcomes with hundreds of clients over my 17-year career as a Certified Family Trauma Professional. 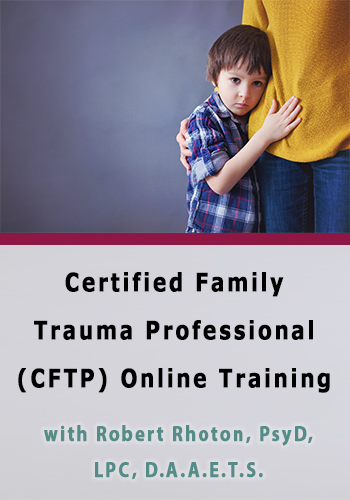 Now you can learn my tools and strategies to help dramatically improve your client outcomes with my intensive Certified Family Trauma Professional (CFTP) Online Training. -Robert Rhoton, PsyD, LPC, D.A.A.E.T.S. Today Only $149.95 (GST Inclusive) — An Unbelievable Value! BONUS: Get a FREE International Association of Trauma Professionals (IATP) Membership when you sign up today (a $99 value!). This training meets the educational requirements for CFTP certification. Earn up to 12.5 CPD Hours – All INCLUDED IN THE PRICE! In this intensive online training, you'll get tools and strategies to help heal trauma by increasing the connection and improving the quality of stability between the children you work with and their family members. Dr. Robert Rhoton, president of the Trauma Institute International, will walk you step-by-step through this cutting edge approach of stabilizing families that will improve your outcomes and reduce your client's shame, guilt and judgement that are the lasting results of their trauma. Dr. Rhoton's training is one of the best training packed full of good information that makes sense in my over 25 years of practice. This training would be good to include in all counselor training for any kind of counseling work. This has been one of the most informative and rewarding trainings I have ever had the pleasure to participate in and I will certainly utilize many, if not all, of the skills and techniques used in my own clinical practice. I have learned a great deal about trauma and it has changed the way I view clients' behaviors. I was impressed with the content of new information, which is unusual at most seminars I've attended. Robert Rhoton was an excellent presenter and held my interest throughout the seminar. I feel I have gained very valuable information to incorporate in my practice. Bonus! Enroll today and you’ll lock in a FREE IATP Membership - A $99 value! IATP members receive exclusive benefits, including the IATP: Trauma Therapist Toolkit: 2nd Edition, which is filled with hundreds of professional resources, assessments and treatment strategies to help improve treatment outcomes with your clients today! 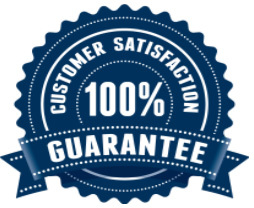 Membership also includes discounts and special access to professional consultation and supervision by the IATP, and discounted tuition on PESI seminars and products! Robert Rhoton, PsyD, LPC, D.A.A.E.T.S., is a retired professor who taught for 20 years at Ottawa University (Phoenix) in the Behavioral Sciences and Counseling Department. Dr. Rhoton’s primary interests are training counselors to work with traumagenic family dynamics; child & family trauma; and non-egoic models of treatment. As CEO of Arizona Trauma Institute, Dr. Rhoton has supervised multiple outpatient clinics, juvenile justice programs, and intensive outpatient substance abuse programs for adolescents, day treatment programs for children and youth, adult offender programs, child and family therapeutic services, advanced training in child and adolescent trauma treatment, family therapy and family trauma. Dr. Rhoton is the past president of the Arizona Trauma Therapy Network (2010-2012). Additionally, Dr. Rhoton is vice president of the International Association of Trauma Professionals. Currently, serves as co-editor of the International Journal of Trauma Practice and Research. 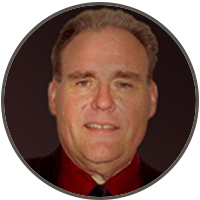 He is a Diplomate of the American Academy of Experts in Traumatic Stress and collaborates and consults with numerous Arizona community behavioral health agencies to fine tune their understanding of trauma. Dr. Rhoton serves on the Arizona Department of Health Services Trauma Informed Care (TIC) task-force as a community member. He is a gubernatorial appointee to the Arizona Board of Behavioral Health Examiners and Governor’s Office of Youth, Faith and Family. Watch your email for your order confirmation, and get instant access to 12 hours of online video training featuring Bob Rhoton, PsyD, LPC, D.A.A.E.T.S. Click here for course objectives and outline. Complete your online CPD tests and earn up to 12.5 CPD hours — included in the price! Click here for total course CE Credit. FREE IATP Membership (A $99 value! ).